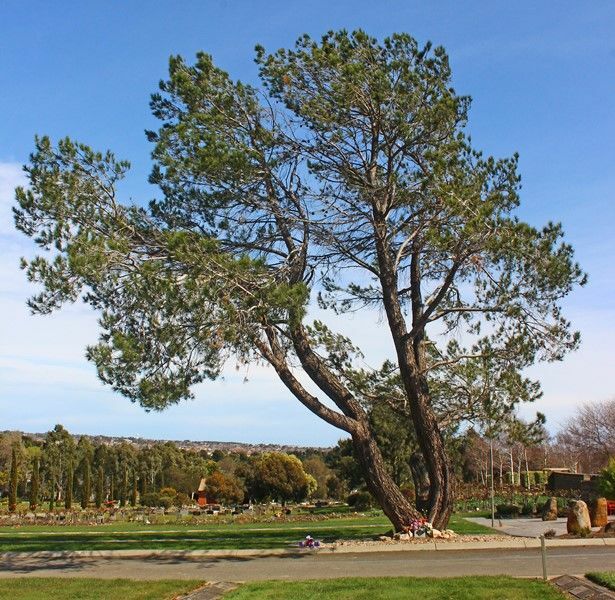 An Aleppo Pine commemorates departed comrades and was planted in 1965, the jubilee year of the Battle of Lone Pine. The Gallipoli “Lone Pine” has become a piece of living history in Australia. 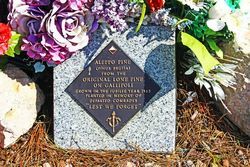 Every Australian soldier who served at Gallipoli knew Plateau 400 or “Lone Pine”– the scene of some of the fiercest hand-to-hand combat by Australians in World War One. The Plateau was distinguished by a solitary pine which bore silent witness to the heroism and tenacity of Australians who fought there. Lone Pine was a heavily fortified Turkish trench position, identified by a solitary Pinus Halepensis species Brutia commonly known as an “Aleppo Pine”. Pines which are planted as a memorial to the Australian and New Zealand soldiers who fought in Gallipoli are also known as "Lone Pines" or "Gallipoli Pines", referencing the original tree. Melbourne Legacy and the Yarralumla Nursery in Canberra have grown seedlings sourced from the trees at the Shrine of Remembrance in Melbourne and the Australian War Memorial respectively, which they have presented to schools as well as ex-service and other organisations throughout Australia.